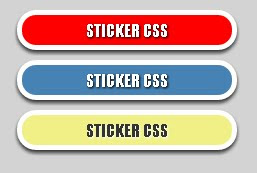 Stickers in web designing are items that appears like sticker on your website. Usually, this is placed to make something stand out like announcements, notifications etc. Here is a method to create a sticker like wrapper for your divs and containers without using images.